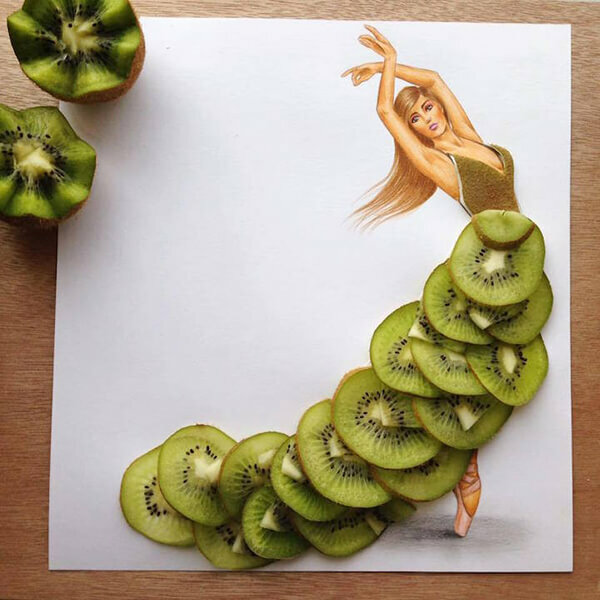 Not matter how many times you have been told don’t play with food, for someone, they just can’t stop. 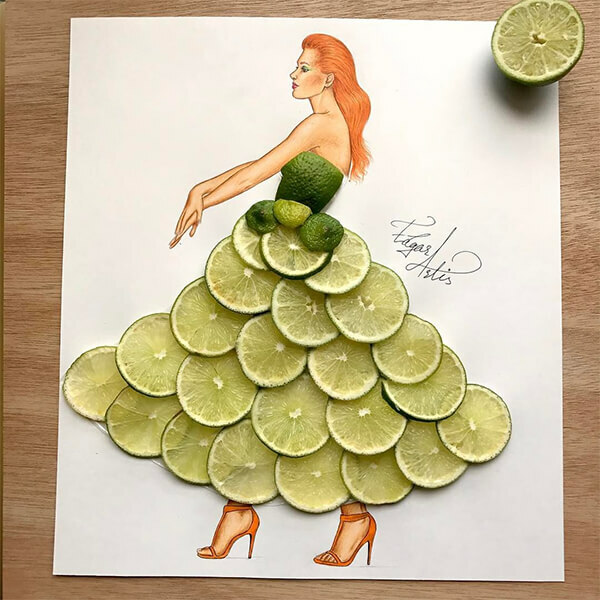 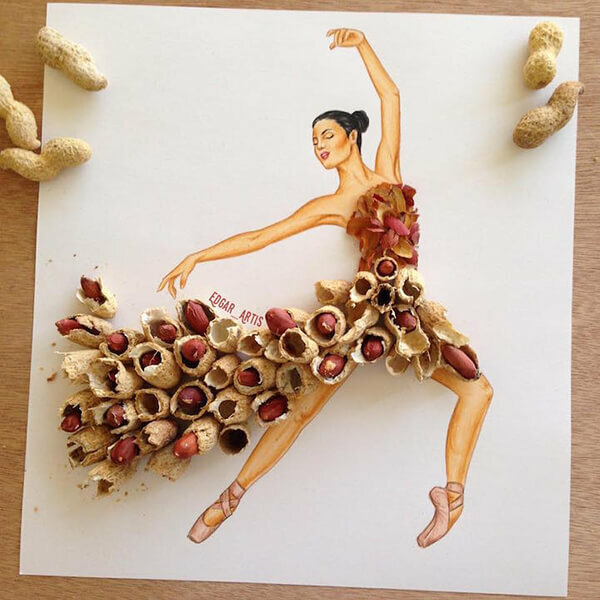 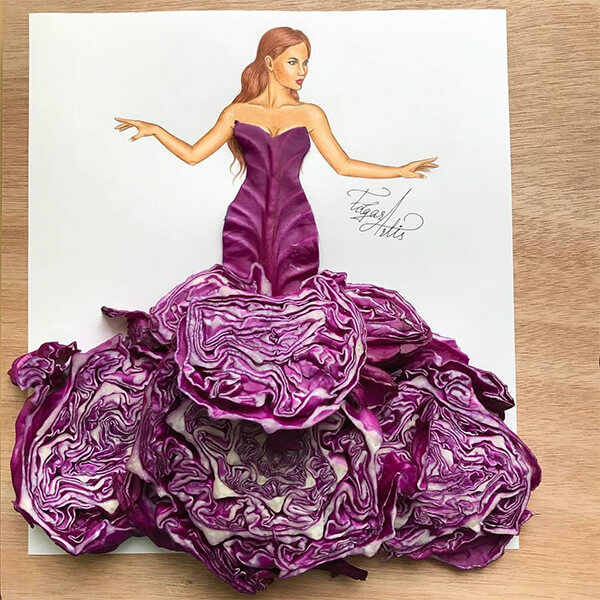 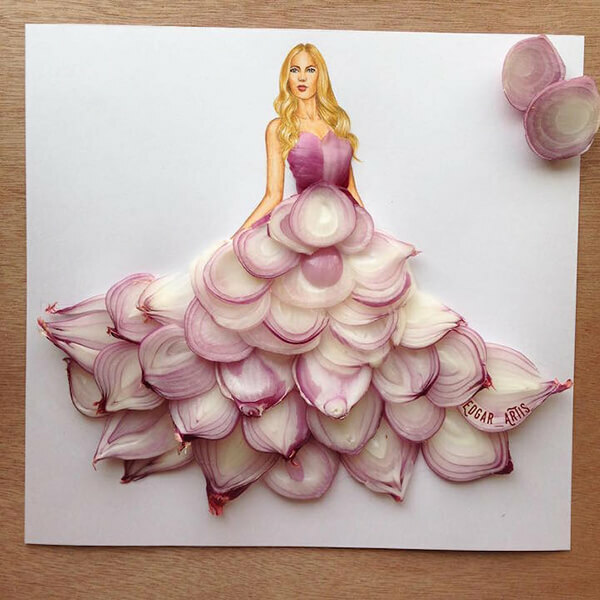 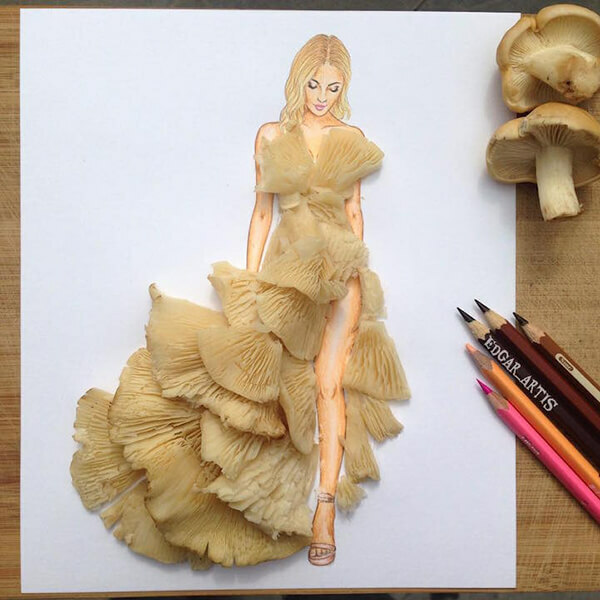 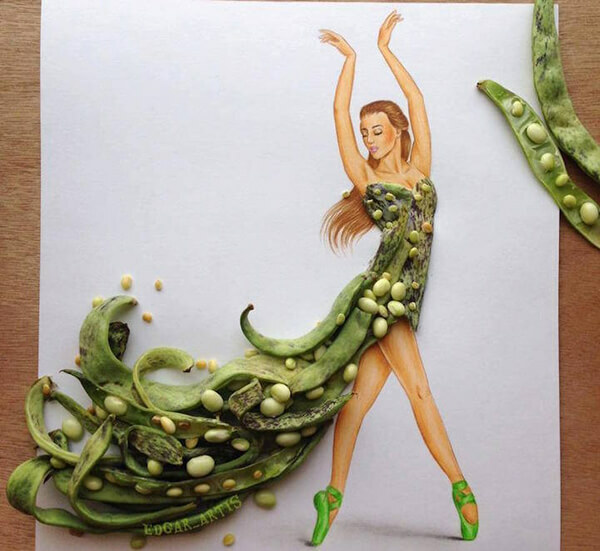 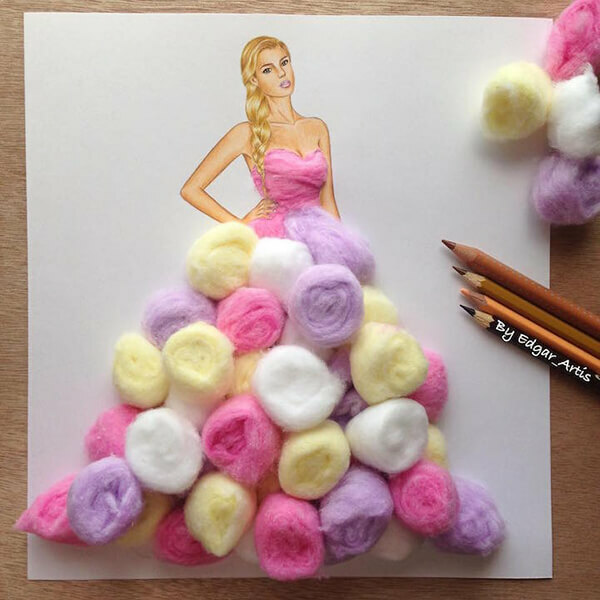 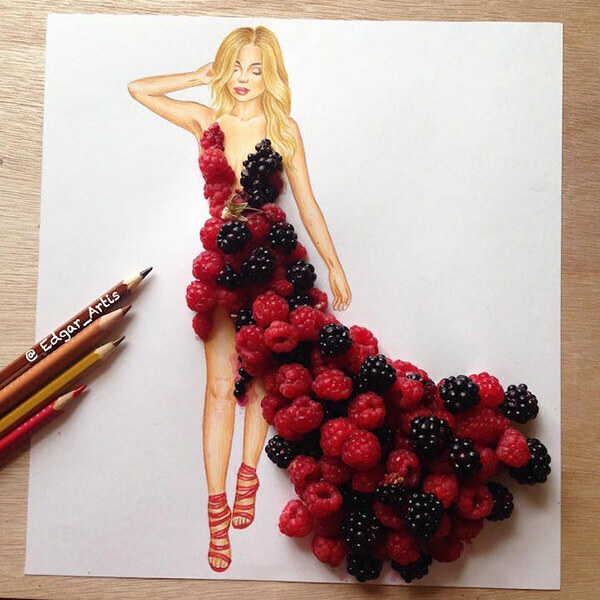 We have so many different kinds of food creation and today, we will see some fabulous fashion illustration and the dressing on model is made out of our everyday food. 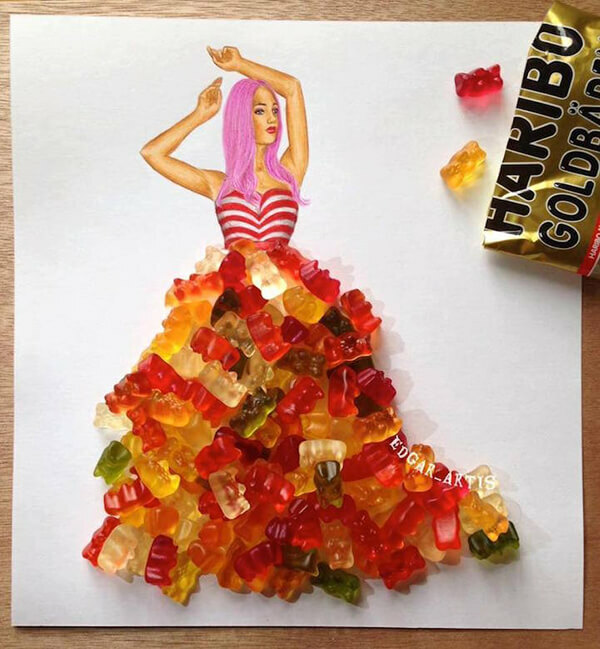 From string beans to Oreo’s, from onion to gummy bear, the artist creates surprising object transformations that seamlessly blend with fashion illustrations into playful three-dimensional visions that would make any fashion lover envious. 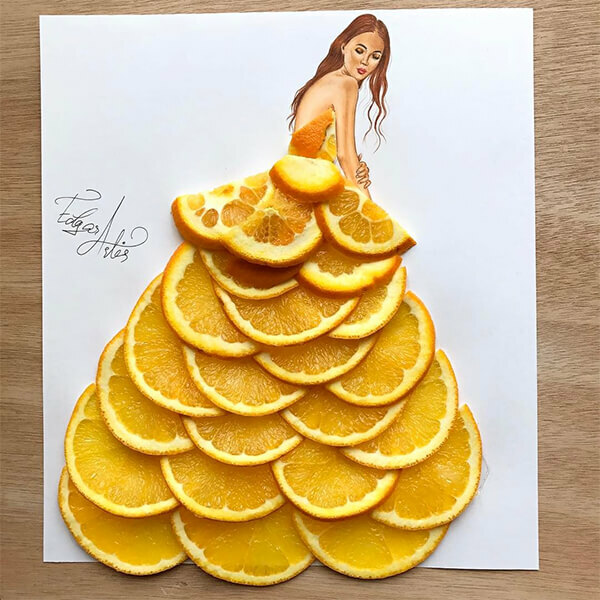 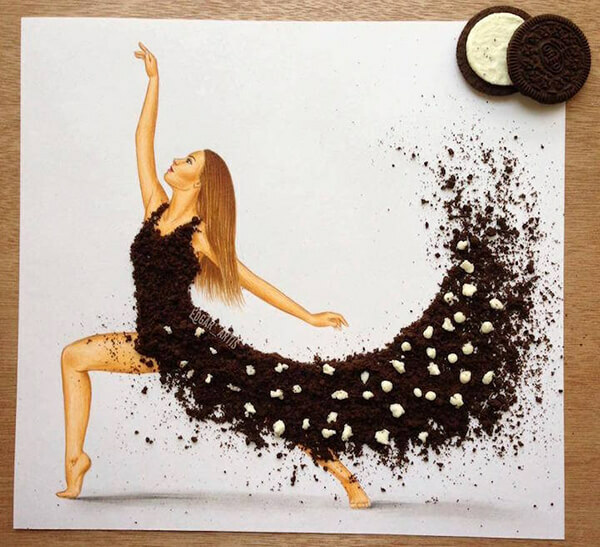 See more of creative food dressing from Edgar Artis’s instagram page.